While no parent wants their children to experience tooth decay, it’s an all-too-common dental problem; children’s baby teeth are more porous than permanent, adult teeth, which means that sticky plaque and bacteria have the chance to hide and cause damage to teeth. While most dental decay can be prevented with good oral health habits, children and teens may still need treatment for cavities and decay. If your child is experiencing tooth decay, we offer dental fillings and crowns for kids and teens at our Tulsa, OK children’s dental office. Getting a filling or a dental crown is the best way to treat instances of tooth decay and prevent it from spreading to healthy teeth. Most mild cases of decay can be treated with a dental filling, while damage that has progressed may require that your child get a dental crown to seal out further bacteria and strengthen the affected tooth. White-Colored – We want your child’s dental work to help them look and feel healthier. White or tooth-colored crowns are strong and look natural, to blend in with existing teeth. Metal-Free – Whenever possible, we avoid using metal amalgam in crowns or fillings for permanent teeth. Metal dental prosthetics can diminish in appearance over time, and aren’t ideal for improved long-term oral health. Conservative – Using white-colored fillings and porcelain/cosmetic dental crowns does not require Dr. Costello to remove as much of your child’s natural dental enamel. Tooth-colored crowns and fillings save more of your child’s existing tooth structure. If your child has a decayed baby tooth, we do offer stainless steel crowns. 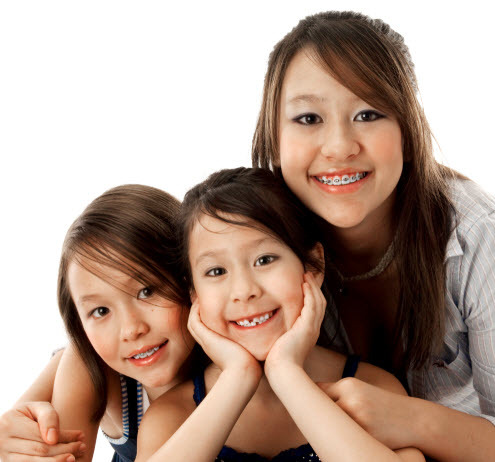 As baby teeth will eventually fall out on their own, metal crowns are a good choice for this temporary problem. Older, teenaged patients who have cavities on permanent teeth are ideal candidates for all-porcelain, ceramic, or composite materials for dental treatment. At Kid’s Dental, we are committed to making your child’s experience at our Tulsa dental office warm and welcoming. We also want to make getting high-quality dentistry affordable for you, the parent. We happily accept Medicaid, SoonerCare, and other dental insurances so that your child can get the thorough care they need to have a healthy smile for life. Somos dentistas de Medicaid para niños en Tulsa -- tenemos dos mimebros en la oficina que hablan espanal para asistirle. Does Your Child Need a Filling or Crown? Call Our Office! Dr. Costello takes a one-patient-at-a-time approach and never rushes families through dental appointments; we respect you, your child’s oral health, and your time. If you have questions about getting dental crowns and fillings for your child, call our kids’ dentist today to schedule your appointment.